Bandhub, one of my favorite creative outlets, is closing down on March 15, 2019. I will lose the opportunity to make music and collaborate with so many talented people globally on this wonderful platform. This is very sad news for the Bandhub creators and the thousands of members who formed the online music collaboration community. We forged some very strong friendships and stretched our musical domains to new highs. Since joining in February 2016, I have recorded more than 400 collaborations and enjoyed honing my trumpet skills in a unique way. Rising to the Bandhub challenge saw me highly motivated to practice during the breaks between gigs and rehearsals when, without the motivation, I would probably have let it slide. It saw me focus much more clearly on my note attack (who wants a recording full of split notes?) and accuracy (unlike recording in a studio, it isn’t possible to “drop-in” new notes to tidy-up mistakes). Playing something from beginning to end, without mistakes, suddenly became even more critical than ever. I found myself being invited to collaborate with others to play music I’d never heard of before, even in styles I’d never bothered with previously. I still can’t believe I’ve played music by Johnny Cash and Conway Twitty (who I’d only ever known of from being mocked on The Family Guy). But more interestingly I was able to play all manner of rock, pop, funk, Motown, and jazz-influenced music that really ticked the boxes for me. Adding to it, I was able to initiate my own collaborations. This was my opportunity to record the music that I was longing to play for my own reasons. I’m more comfortable playing from written charts than not, so I became highly adept at searching for charts online. But with a strike rate of only 50%, to play the other material I had to hone my listening and transcriptions skills to work out the parts that I was hearing, and then get them down onto paper. Sharing the outputs of that work with the world is the nature of this blog. I’ve downloaded video and audio of all of my Bandhub work. It amounts to >400 songs and tunes, spanning 29 hours and 53GB on my PC. No wonder server storage costs became a problem for Bandhub! 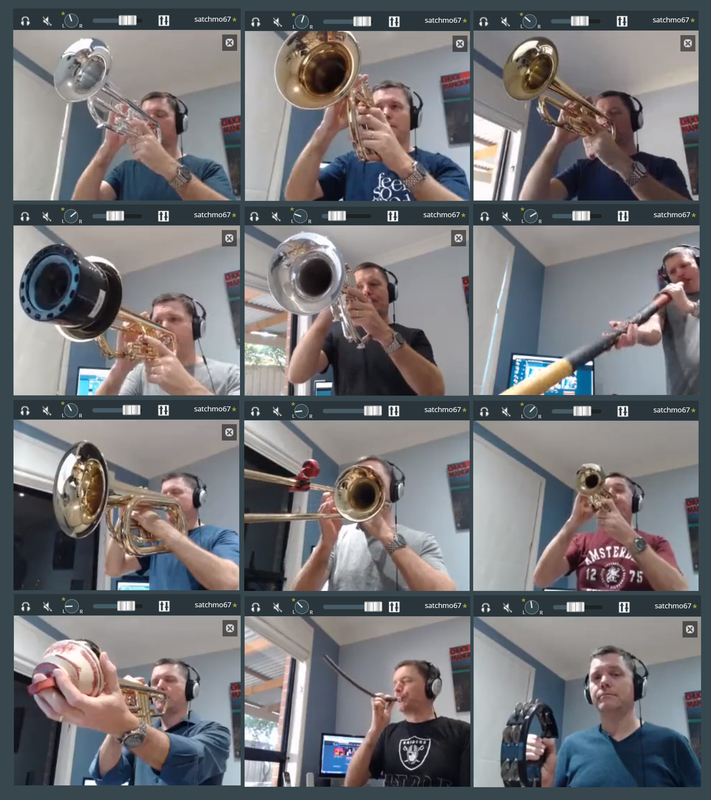 For someone who only plays trumpet, I stretched it a tad on Bandhub. Almost all of my blog posts here include a link to a Bandhub collab, so I will slowly work to upload the video of each onto YouTube and update the link in each blog post. This way I can maintain my goal of not only providing my transcribed charts but also a demonstration of how I played each one. It will take me some time to point all of the URLs to YouTube, so I apologize now for the likely broken links that will litter the blog for a while. There are alternatives to Bandhub, and over the next little while, I will explore those. 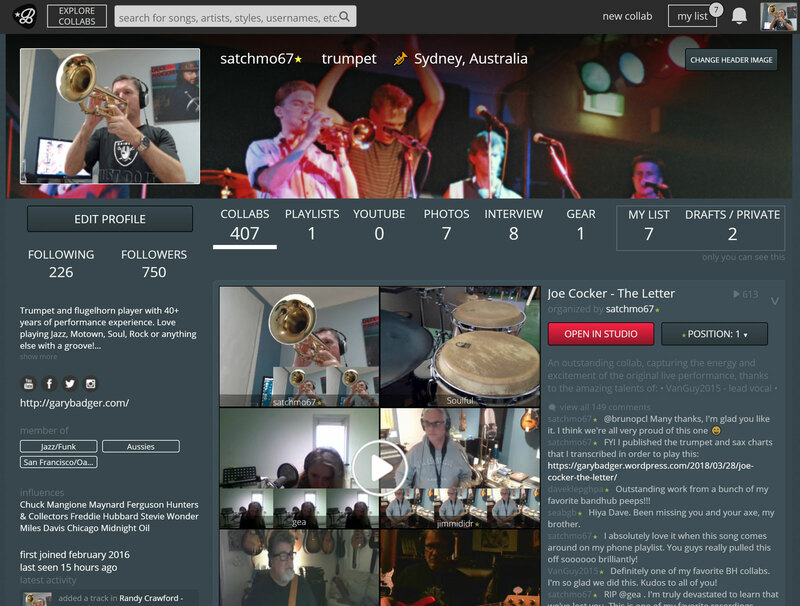 And there’s a whole Bandhub community of fantastic, talented people across the planet to play with. I’ll continue to collaborate with them to make music online, and for as long as I do that I’ll continue to transcribe music and share it here with trumpet community. Every new beginning comes from some other beginning’s end. Farewell Bandhub, I will miss you!